imec presents a prototype of a multispectral TDI imager based on BSI CCD-in-CMOS technology. Due to its high sensitivity and high speed (up to 300kHz), the TDI imager targets high-end applications, such as remote sensing, life sciences and machine vision. The specialty imagers are offered through various business models, including full-custom design, prototype TDI sensors and evaluation cameras. 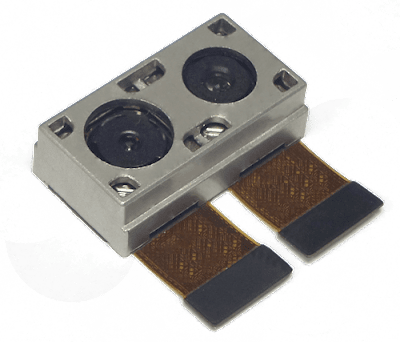 The prototype TDI sensors use a format with 4,096 columns and 256 stages per CCD array (or band). 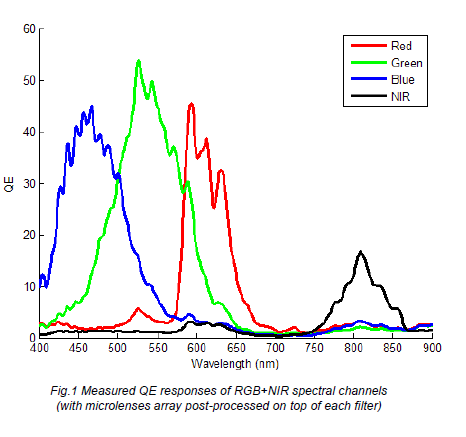 A version with one CCD array is available, as well as a 7-band version, allowing to add 7 spectral filters. The prototypes integrate CMOS drivers and readout circuitry. "In our Imaging business 2016 was a year of success for our proprietary Time-of-Flight technology. 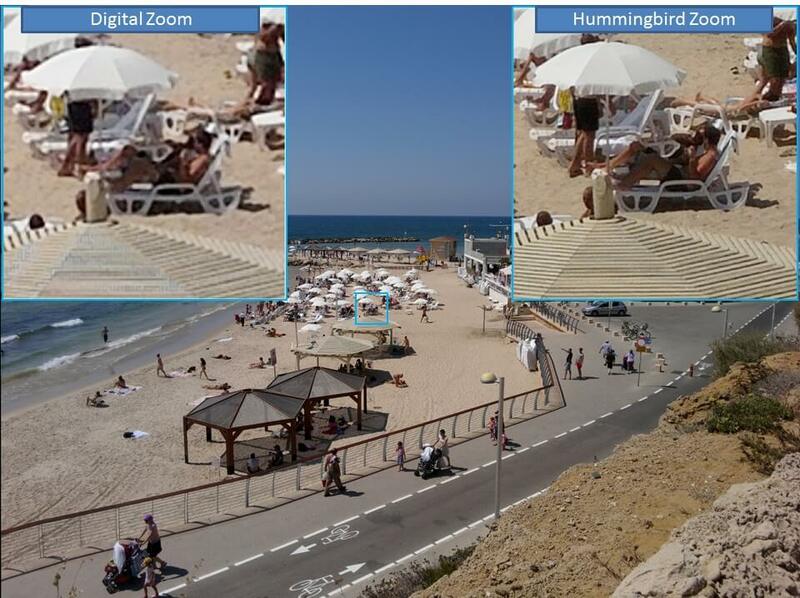 Our FlightSense technology for ranging and autofocus applications is now being integrated in over 70 smartphones. This is all about growth. In the second half of 2016 versus the second half of 2015, Imaging posted triple-digit growth. A new core technology, which we developed and patented is FlightSense, our Time-of-Flight technology, enabling true distance measurement and targeting a wide range of application. We have been vocal about this technology for quite some time. During 2016 the initial business for this technology was in smartphone. As Carlo Bozotti mentioned, we are seeing now a strong momentum globally. ST new Time-of-Flight sensor were present in 70 smartphones, including a new product in flagship phones, launched on the market during the second half of 2016. 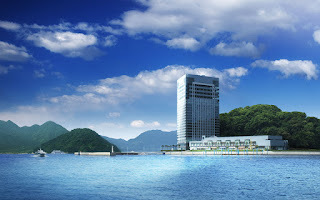 The expansion we are enjoying with Asian customers is particularly remarkable. We are now working on our next generation of Time-of-Flight technology, featuring longer distance ranging, as well as multi-target and multi-zone ranging capabilities. This will improve the performance in current application areas as well as expanding its use well beyond smartphones." LUX51: A 1", 2560x1920, 5um pixel, 600 Frames/s, Small Size Low Cost sensor. 1- and 5- Mpixel sensors with data rate over 10 Gpixel/s. Thanks to AT for the links! PRNewswire: Viavi Solutions Optical Security and Performance Products (former JDSU) and ESPROS Photonics announce a miniaturized spectral sensing SoC and multispectral sensor developer kit. The spectral sensor combines Viavi's 64-channel micro-patterned bandpass filter array and the ESPROS hybrid CCD-CMOS imager, to make a miniature spectral sensor that is less than 2.7 x 2.7 x 1.1 mm in size. Two versions of the sensor will be offered – one for the visible range (385-900 nm) and one for the near infrared (775-1065 nm). The size and projected cost of the sensor should bring a wavelength analysis and shortwave NIR spectroscopy within reach of consumer mobile devices such as smartphones. "The lower gross margin [in the last quarter] is the result of an additional one-time, non-cash inventory write-down totaling $12.0 million. The $12.0 million inventory write-down is on top of the $2.7 million original inventory write-off estimate for the fourth quarter. In comparison, the inventory write-off amounts were $2.5 million, $3.0 million and $2.5 million for the first, second and third quarter of 2016, respectively. The vast majority of the additional write-down was related to certain aged inventories of traditional human vision CMOS image sensors. Earlier in 2016, we decided to switch our strategy of the CIS business to focus on smart sensor, machine vision segments, as opposed to the traditional human vision segments. As part of this new strategic direction, we made a decision recently to expedite the sales of some aged inventories of human vision sensors. We believe it is appropriate that we write-down the inventory at this time, as we anticipate the need to offer discounted prices to accelerate the sales of some products and, for some other products where the potential revenues do not justify the efforts, stop the sales all together. Our new CIS strategy is backed by new products such as the Always-on-Sensor (AoS) and the structured light 3D scanning total solution which offer unique and market leading features. The new strategy is also backed by close collaboration and intensive development activities with certain heavyweight partners and customers. Following this one-time write-down, we believe our inventory position to be healthy across CIS, driver IC and all other product areas." "In 2015 we started 4 design projects for large area image sensors; 2 of them are equipped with the Caeleste high performance SAR ADC. 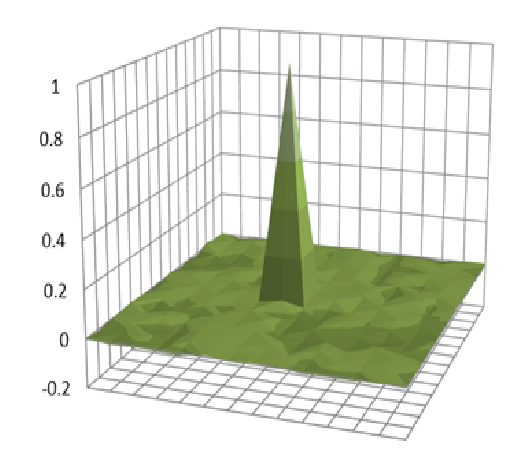 One of these realizations is the contribution to the BASTION project (an ECSEL-JU project); this design has innovative pixels designs, including HDR and an enhanced UV sensitivity by Front Side Thinning (FST). We are also working on 2 ROIC’s (ReadOut Integrated Circuits) for Infrared Focal planes. The PADME device, developed for ESA, is tested at Caeleste and is now with the project partners for detector integration and final testing. The results of the ROIC behavior are very promising for the final FPA results. In 2016 Caeleste (together with LFoundry and Airbus) was awarded a contract from ESA to develop a new space qualified CMOS Sensor entirely designed, manufactured and tested within Europe. A High Performance CMOS Sensor will be developed, aimed at demonstrating the capability to meet future ESA mission requirements (in terms of spectral sensitivity, SNR and environmental durability) for scientific space applications. In another project Caeleste is making its first steps in the world of IoT (internet of Things) where Caeleste is developing dedicated low power devices for personal safety monitors based on solid-state and photonic techniques. These devices will replace the conventional film based monitors, used in hospitals and other radiation environments and will guarantee a faster, continuous and more widespread control of the risks of a radiation environment." "The UXI camera is capable of taking images with an exposure time of only 1.5 ns, and taking extremely close sequential images within the same experiment. UXI was developed to take two, 2 ns x-ray images with high, 25 µm, spatial resolution. Our device consists of a 1024 x 448-pixel array of 25 µm pixels with two frames of 1.5 million electron in-situ pixel storage, associated readout decode circuitry, parallel output analog buffering for pixel data read off and high-speed timing generation and distribution blocks." Hamamatsu publishes quite a detailed analysis of ToF camera system in its Distance Image Sensors technical note, possibly the most detailed one out of all publicly available. The analysis starts from page 21 and gives equations for signal level and distance accuracy estimations. IFTLE 319 by Phil Garrou reviews a couple of presentations from this year’s 3D ASIP. Tetsuo Nomoto, Senior GM of Sony’s mobile imaging systems business, says that the next generation Sony sensors will include stacked DRAM chips to achieve “5X faster scan out and storage data, improve distortion and reduce 1/f bandwidth” and then incorporating a DSP into the stack to 3 Layered modules with customized staked DRAM. The 3-layered paper is to be presented at the next ISSCC. Tessera's Paul Enquist presented their hybrid bonding process. He said that Sony is currently in production with 6um pitch and Tessera is currently capable of 1.6um pitch in demonstration vehicles. The companies feel they are close to pixel level interconnect stege. 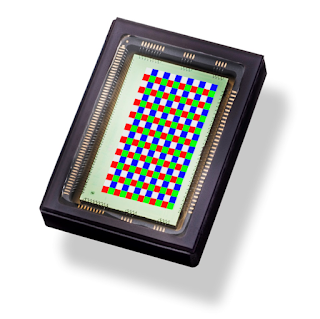 imec is to introduce a new image sensor with integrated RGB and narrow-band NIR filters. 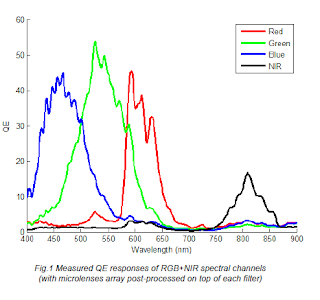 Imec’s RGB-NIR multispectral platform demonstrates the possibility to integrate together standard RGB color filters, NIR-cut filter, NIR narrow band-pass filters and on-chip microlenses, down to small pixels as small as 5µm today. The NIR band-pass filter and design pattern implementation can be tuned to match requirements of a specific application case, e.g. the wavelength of a particular laser or LED light. Bloomberg: The U.S. National Highway Traffic Safety Administration (NHTSA) essentially cleared Tesla Autopilot of fault in a fatal 2016 crash. The National Transportation Safety Board, an independent agency that has no regulatory power, is conducting a parallel investigation of the accident. The safety board is planning to issue its conclusions by early summer. BusinessWire: ams announces the completion of the transaction to acquire 100% of the shares in Heptagon. The transaction includes approximately $64M in cash, 5,450,586 ams shares from currently held treasury shares as well as 11,011,281 new shares from authorized capital. The total number of shares outstanding of ams AG will therefore be 84,419,826. Following the registration, the selling shareholders of Heptagon hold approximately 19.5% of the total registered share capital of ams. They are subject to a lock-up obligation ending in Q2 2018. BusinessKorea reports: "According to the semiconductor industry, SK Hynix attempted to acquire a Toshiba image sensor plant in Oita Prefecture, Japan in 2015. 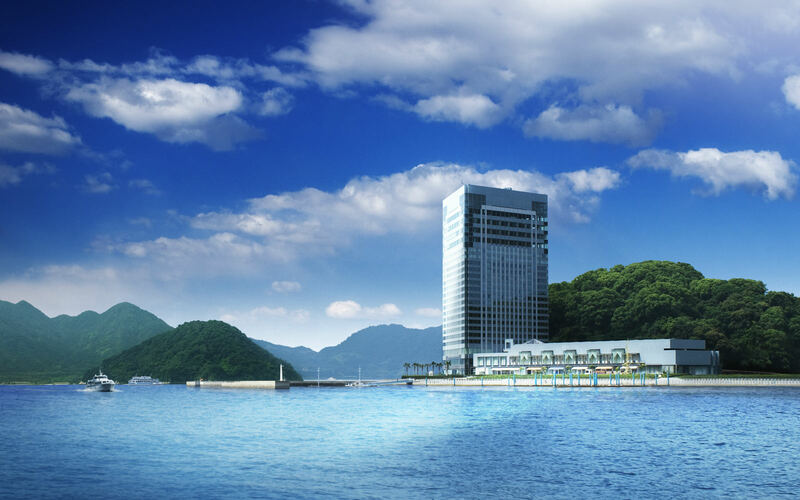 However, while SK Hynix executives were considering it, it was reported that Sony bought the Oita factory for about 180 billion won." 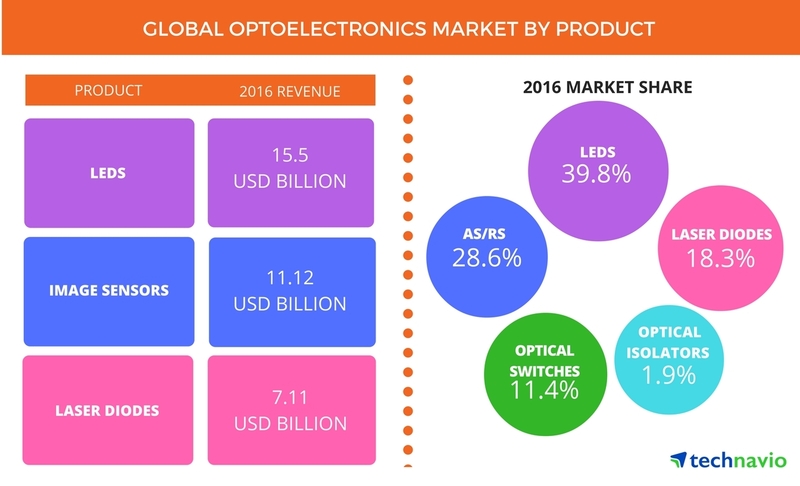 Q: What changes have you seen in the image sensors market for VR in the last 5 years? A: It’s now about creating content for VR that fully maximises its strengths; allowing users to have experiences that simply aren’t possible with existing mediums. The quality of 360 degree image/video capture is obviously fundamental to this, both in terms of the professional and home consumer markets, as the content created via both of these channels will be the lifeblood of the technology moving forward. "What’s also going to be interesting is how the worlds of VR and augmented reality (AR) co-exist, as I’m extremely excited about the growth of head-mounted AR solutions over the next 3-5 years. Microsoft Hololens is a great start here, but the future will be fascinating." "The clean room on the third floor was shaken far more intensely than it was designed to withstand -- 1,396 Gal versus 900 Gal, a gal being a measure of ground acceleration. 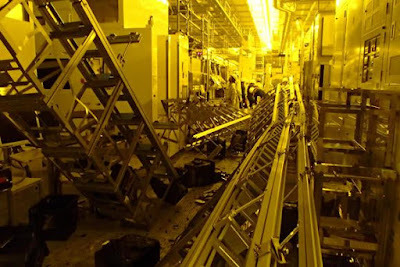 With the walls and ceiling damaged, equipment toppled and semiconductor wafers scattered around, "I thought we might have to withdraw from Kumamoto when I first stepped inside," said Yasuhiro Ueda, president of Sony Semiconductor Manufacturing, which runs the factory in the town of Kikuyo." Mashable, Apple Insider, and Business Insider quote Cowen and Company analyst Timothy Arcuri claiming that Apple iPhone X, to be released this fall, is "to include some form of facial/gesture recognition supported by a new laser sensor and an infrared sensor mounted near the front-facing camera." The iPhone X is said to feature a fingerprint sensor hidden under the OLED screen. "Apple may switch to Synaptec's optical-based fingerprint reader for the new Touch ID sensor, citing it as "currently the only workable solution" for detecting a fingerprint through a smartphone screen." "This year we celebrate Forza Silicon's 16th anniversary in the business of delivering innovative custom CMOS image sensor (CIS) and IC design solutions. Forza has been working on stacked CIS for several years and we believe it will dominate advances in the CIS marketplace for the next 3-5 years. While stacking has its challenges, Forza is developing custom stacking flows involving intelligent design choices and good product engineering to help our customers take advantage of enhanced technology options. Additionally, while the cellphone camera has taken center stage with its upgrades we expect a strong response from the DSLR/digital still camera with high-speed 4K video and higher dynamic range. Its performance might also challenge the incumbents in the digital cinema and broadcast markets. Lastly, as more devices get connected everyday, the Internet of Things (IoT) will remain an important application for the growing network of sensors. At Forza, we continue to look at ways to leverage the stacked chip technology for our customers while still focusing on power, pixel performance, yield, noise and other specific application requirements." Reuters: Panasonic CEO Kazuhiro Tsuga said in an interview that the company would like to adapt its organic photoconductive film CMOS sensors for automotive applications as they can capture high-speed moving objects without distortion. Panasonic believes that these sensors are a good fit for Tesla cars. "The ASIC is the “brain” of the camera and is what we use to control all of the L16’s camera modules. Consider that your traditional (non-computational) camera only has to control a single lens and a single sensor as you compose, focus, adjust and capture. The L16 requires simultaneous control of at least 10 discrete cameras (lens barrels, sensors, mirrors, etc.). Needless to say this requires an extremely advanced “brain,” which is why we designed a highly advanced ASIC specifically for this purpose. There are 3 ASIC’s in each L16 Camera, each made using industry leading semiconductor processes. Each ASIC is comprised of a 533 MHz processor with multiple levels of internal caches and has up to 4GB of DDR memory support. 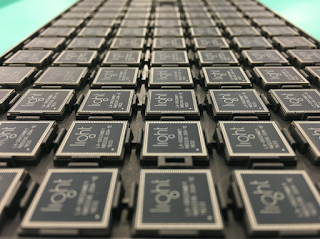 Light has devised a proprietary MIPI data handling mechanism to be very power efficient. In fact, Light’s ASIC has more MIPI camera interfaces than any leading media or application processor in the semiconductor industry. In addition, each ASIC is loaded with Light’s exclusive lens, mirror, and sensor controls that enable the L16 to work its magic. 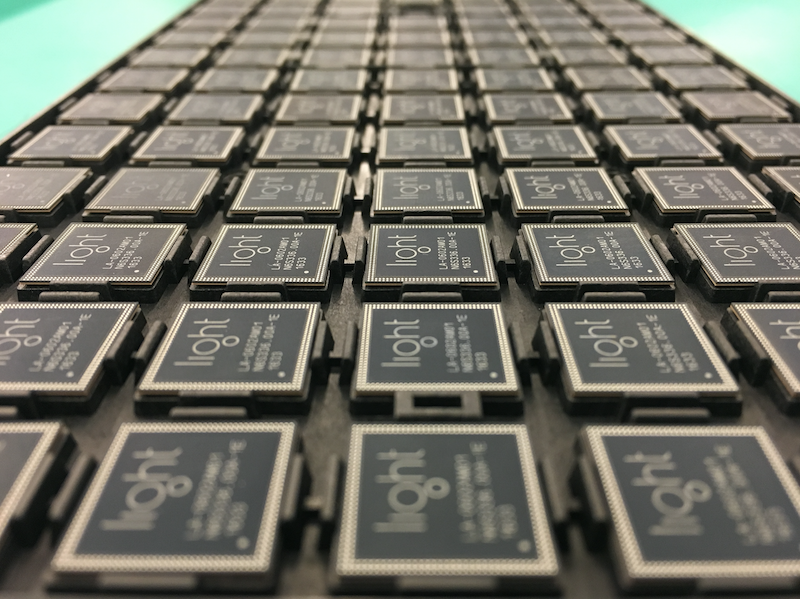 The development of this chip marks major breakthrough and required an enormous amount of effort from the Light team." Melexis announces a chipset and its evaluation kit for ToF 3D vision. Representing a complete ToF sensor and control solution, the chipset supports QVGA resolution and offers unsurpassed sunlight robustness and up to -40°C to +105°C temperature range operation, so that designers can test this automotive-qualified chipset. The MLX75023 sensor has QVGA resolution and background light rejection capabilities of up to 120klux. This IC can provide raw data output in less than 1.5 ms, giving it capacity to track rapid movement. Update: EVB pictures changed, as written in comments. "CCD image sensors were the first high-quality image sensors, which were initially used in cameras. 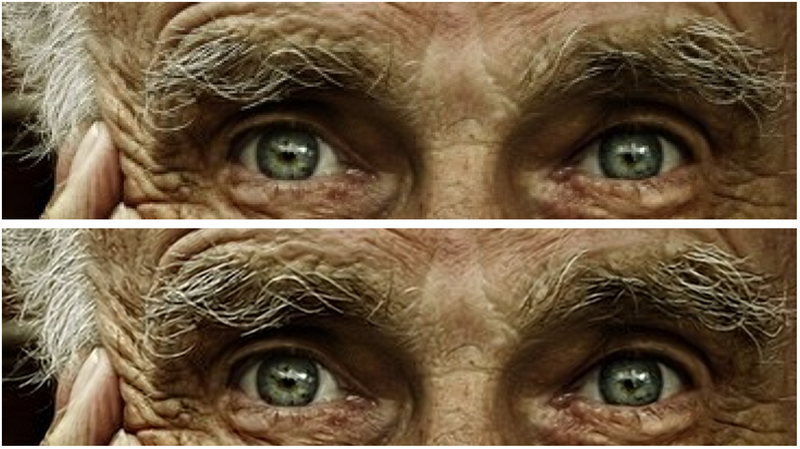 They are being replaced by CMOS sensors gradually in every application. Though CCD sensor is superior in factors like light sensitivity, quality, and noise, CMOS image sensors have low power consumption and low manufacturing cost, leading to their increased adoption. So, in the future, CCD sensors are likely to be replaced entirely by CMOS sensors. The growing advances in the image sensors are attributed to their increasing implementation in several imaging devices such as camera modules for consumer electronic devices and digital cameras." TSMC publishes an open source paper "CMOS Image Sensor Random Telegraph Noise Time Constant Extraction From Correlated To Uncorrelated Double Sampling" by Calvin Yi-Ping Chao, Honyih Tu, Thomas Wu, Kuo-Yu Chou, Shang-Fu Yeh, and Fu-Lung Hsueh in IEEE Journal of the Electron Devices Society, Jan. 2017 issue. A new method for on-chip random telegraph noise (RTN) characteristic time constant extraction using the double sampling circuit in an 8.3 Mpixel CMOS image sensor is described. The dependence of the measured RTN on the time difference between the double sampling and the key equation used for time constant extraction are derived from the continuous time RTN model and the discrete event RTN model. Both approaches lead to the same result and describe the data reasonably well. From the detailed study of the noisiest 1000 pixels, we find that about 75% to 85% of them show the signature of a single-trap RTN behavior with three distinct signal levels, and about 96% of the characteristic time constants fall between 1 μs and 500 μs with the median around 10 μs at room temperature. Please be advised that, in connection with restructuring our business strategy concerning CMOS sensors at our wholly-owned subsidiary AltaSens, Inc. (California, USA), we have made changes to our management team at AltaSens, Inc. as well as changes to our strategy for operations in the United States. With respect to our current product offerings (AL41410C, AL-CM460), as well as products that are still under warranty, JVC KENWOOD will support AltaSens in honoring its commitments. Thanks to SD for the link! In addition, MediSens filmed all the presentations, they can be accessed by attendees for free, and for non-attendees for a fee. Also, News-Medical publishes its review of the conference. "During the Consumer Electronics Show earlier this month, companies ranging from MediaTek and Renesas to NXP and Ambarella, told us they are working on “alternatives” to Mobileye’s EyeQ chips. On the opening day of CES, On Semiconductor announced that it has licensed CEVA's imaging and vision platform for its automotive advanced driver assistance (ADAS) product lines." Oscars.org: The Academy of Motion Picture Arts and Sciences announces its scientific and technical awards. Among them, two are image sensor related: RED for upgradeable image sensor, and Sony CineAlta F65 for high performance and unique color pattern. 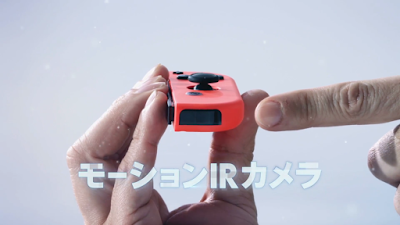 "The most intriguing surprise inside the Joy-Con controller is a motion-depth infrared camera, which Nintendo's designers insist can differentiate between distinct hand shapes. 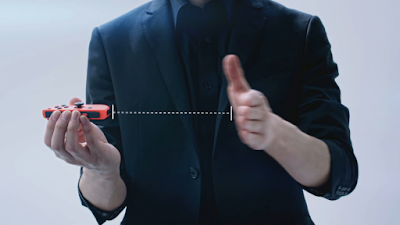 To illustrate this, Nintendo reps showed off the controller recognizing hand shapes for rock, paper, and scissors. 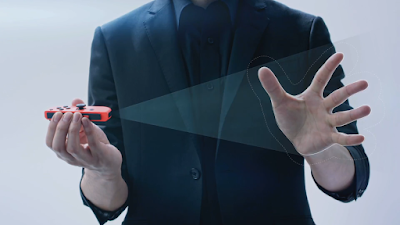 The tracker will also be able to detect exactly how far an object is from the controller. Nintendo says these will be able to record full video "in the future." The Joy Con's motion-tracking IR camera. PRNewswire: AltaSens has adopted the Cadence Modus Test Solution for its mixed-signal next-generation 90nm image sensors. The Modus enabled AltaSens to deliver its first digital-on-top (DOT) image sensor much more efficiently. AltaSens design team was able to meet fault coverage goals with greater than 98 percent static coverage. 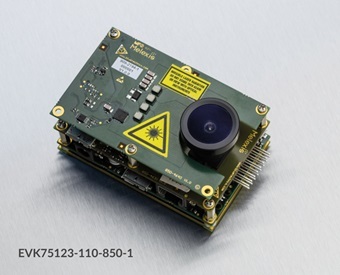 Nikkei: JVC Kenwood Corp will release a lens-interchangeable 4k GW-MD100 camera module targeted at various systems such as the aerial cameras of cranes and drones, observation cameras for academic use, surveying/monitoring cameras for roads, bridges, etc. It is equipped with a Super 35mm 13.5MP image sensor developed by AltaSens which is affiliated with JVC Kenwood. archiv.org publishes a paper "Image sensor array based on graphene-CMOS integration" by Stijn Goossens, Gabriele Navickaite, Carles Monasterio, Shuchi Gupta, Juan José Piqueras, Raúl Pérez, Gregory Burwell, Ivan Nikitskiy, Tania Lasanta, Teresa Galán, Eric Puma, Alba Centeno, Amaia Pesquera, Amaia Zurutuza, Gerasimos Konstantatos, and Frank Koppens. The authors are affiliated with Barcelona Institute of Science and Technology, Institució Catalana de Recerça, and Graphenea SA, all based in Spain. "Here, we show for the first time the monolithic integration of a CMOS integrated circuit with graphene, operating as a high mobility phototransistor. 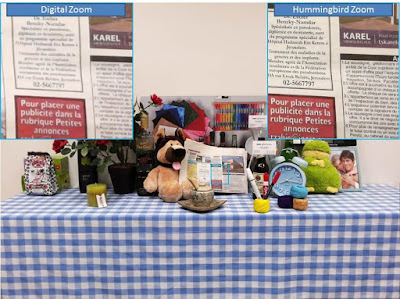 We demonstrate a high-resolution image sensor and operate it as a digital camera that is sensitive to UV, visible and infrared light (300 – 2000 nm). The demonstrated graphene-CMOS integration is pivotal for incorporating 2d materials into the next generation microelectronics, sensor arrays, low-power integrated photonics and CMOS imaging systems covering visible, infrared and even terahertz frequencies." At a closer look, the sensing layer is, actually, "PbS colloidal quantum dots: upon light absorption an electron-hole pair is generated, due to the built in electric field the hole transfers to the graphene while the electron remains trapped in the quantum dots:"
"Due to the high mobility of graphene (here ~1000 cm2/Vs), this photoconductor structure exhibits ultra-high gain of 10^8 and responsivity above 10^7 A/W, which is a strong improvement compared to photodetectors and imaging systems based on quantum dots only." "Future graphene-based image sensors can be designed to operate at higher resolution, in a broader wavelength range, and potentially even with a form factor that fits inside a smartphone or smartwatch (Supplementary Notes, Figure S9). In contrast to current hybrid imaging technologies (which are not monolithic), we do not encounter fundamental limits with respect to shrinking the pixel size and increasing the imager resolution. Graphene patterning and contacting, i.e. lithography, will ultimately be the limiting factor. Therefore, competitively performing image sensors with multi-megapixel resolutions and pixel pitches down to 1 µm are within reach." "15.7 Heterogeneous Integrated CMOS-Graphene Sensor Array for Dopamine Detection," B. Nasri, T. Wu, A. Alharbi, M. Gupta, R. Ranjit Kumar, S. Sebastian, Y. Wang, R. Kiani, D. Shahrjerdi, New York University, Brooklyn, NY. 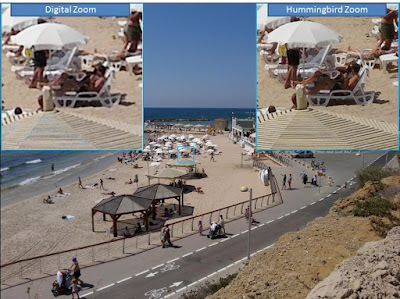 Reuters, Globes: Israeli startup Corephotonics developing dual camera technologies for smartphones raises a $15M round bringing the total raised amount to $50M since it was founded in 2012. The investors list in this round is impressive: Samsung Ventures, Foxconn, and MediaTek. Corephotonics’ current investors include Magma VC, Samsung Ventures, Amiti Ventures, Chinese billionaire Li Ka-shing and Solina Chau’s Horizon Ventures, OurCrowd, SanDisk, Chinese telephony services provider CK Telecom, and additional private investors. The investment, along with the existing cash on hand and revenue forecast for 2017, will be used for developing next generation cameras for smartphones, and for expanding existing products’ penetration. In addition, the new funding will help Corephotonics expand into the automotive, drone, surveillance, and action camera markets. Corephotonics, which currently has 50 employees, intends to recruit dozens of additional engineers for the company’s headquarters in Tel Aviv, as well as support and integration engineers in China and South Korea, following an expected significant growth in sales. In addition, the company is exploring opportunities to acquire complementary technologies. "Abstracts should be submitted electronically by January 19, 2017 (JST). Registration is limited to approximately 160 attendees on a first-come, first-served basis. Registration will be guaranteed for presenters, but they are still required to register. Past experience shows that registration is often filled to capacity within a few days’ time. Pre-registration will start on January 24, 2017 and end on February 10, 2017. You will receive confirmation of your registration, and registration payment instructions, after all 160 attendees have been identified. It will be around February 20, 2017." 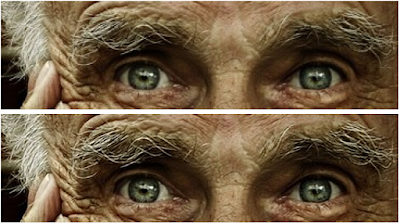 Then, DxO suspects that Red has applied a temporal noise reduction: "This technique, called temporal noise reduction (TNR), is most commonly used in video, since there are many successive frames to work with. However, temporal correlations across a time axis are not relevant when analyzing the image quality of a single RAW image, as they do not impact any RAW converters. Whatever noise reduction system RED employs creating the RAW images from the Helium sensor, its presence means that we aren’t measuring just the RED sensor, so its results aren’t directly comparable to those from camera sensors we have tested from other vendors, whose RAW results come straight from the sensor with no prior noise reduction processing." Forbes, CNET and other news sites quote veteran tech journalist Robert Scoble Facebook post claiming that "A Zeiss employee confirmed the rumors that Apple and Carl Zeiss AG are working on a light pair of augmented reality/mixed reality glasses that may be announced this year." "they are building the PrimeSense sensor right into the television, into the iPad and into the iPhone… so you can do this kind of mixed reality." Tesla welcomes Chris Lattner joining the company as VP of Autopilot Software. He comes to Tesla after 11 years at Apple where he was primarily responsible for creating Swift, the programming language for building apps on Apple platforms. Prior to Apple, Chris was lead author of the LLVM Compiler Infrastructure, an open source umbrella project that is widely used in commercial products and academic research today. Tesla believes that the new appointment will accelerate the future of autonomous driving. "Most of key players like Huawei are eager to find out new camera feature and new key technology which improves camera performance. Another area we are very excited about is ‘depth sensing’, especially due to the current demand for AR/VR applications. We anticipate in the next few years 3D cameras will become standard on all smart phones. Improvements of pixel performance is still important, especially as Huawei is very open to new ideas which improves camera especially image sensor." "Most of us have been there. Wishing for a magic mirror that shows you what your makeup looks like before you apply it – potentially avoiding that dreaded lipstick or eye shadow mistake. 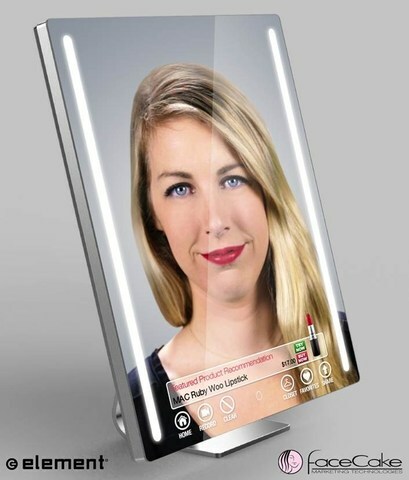 This traditional and sophisticated vanity mirror with adjustable LED lights and a sensor that accounts for the natural or artificial lighting conditions of the room can instantly transition into a personalized AR environment that lets consumers virtually see cosmetics and accessories – whether they own them or not – on their real-time reflection while receiving personalized recommendations and purchase options."